In this article, we highlight the 50 most affordable small midwest colleges for an accounting bachelor’s degree in 2016. Accounting is the language of business. The major is often offered at accredited institutions as a specialized concentration of Business Administration and also as a stand-alone degree. According to the Bureau of Labor Statistics, earning a degree in Accounting offers a considerable return on investment. The average median pay for an accountant holding a bachelor’s degree in accounting is $65,940 per year. Entry-level positions are available, but competition can be fierce. Many undergraduate accounting majors pursue CPA credentials to help them stand out from the competition. We examined 75 accredited colleges and universities offering affordable bachelor’s in accounting degree programs. Many of the schools offer a traditional accounting degree, such as a BS in accounting, while some offer a bachelor of business administration with a concentration in accounting. We included only institutions located in the midwest. We define midwest as the following states: Illinois, Indiana, Iowa, Kansas, Michigan, Minnesota, Missouri, Nebraska, North Dakota, Ohio, South Dakota, and Wisconsin. We then chose schools with an undergraduate student enrollment of up to 3,000 students. We examined the 50 least expensive schools based on the most current net price listed by NCES College Navigator. The 50 most affordable small midwest colleges for an accounting degree in 2016 are profiled below, in order of affordability. 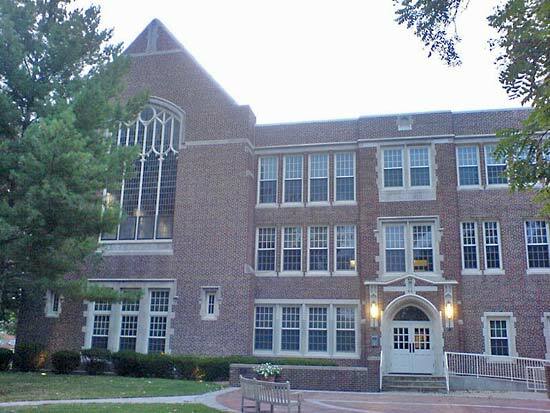 North Park University is a private, Christian university located in the heart of Chicago. The school enrolls approximately 2,200 students and maintains small class sizes and a low student-to-faculty ratio. According to U.S. News and World Report’s 2016 edition of Best Colleges, North Park University ranks #54 among the Best Regional Universities in the Midwest and is the 40th Best College for Veterans. The school offers a Bachelor of Science in Accounting degree that prepares students with comprehensive business, finance, and accounting skills needed to succeed in the field of accounting. To earn a BS degree in Accounting, students must complete a 150-hour minimum accounting internship. Specialized courses required by the program include corporate tax accounting, cost accounting, international accounting, and managerial accounting. 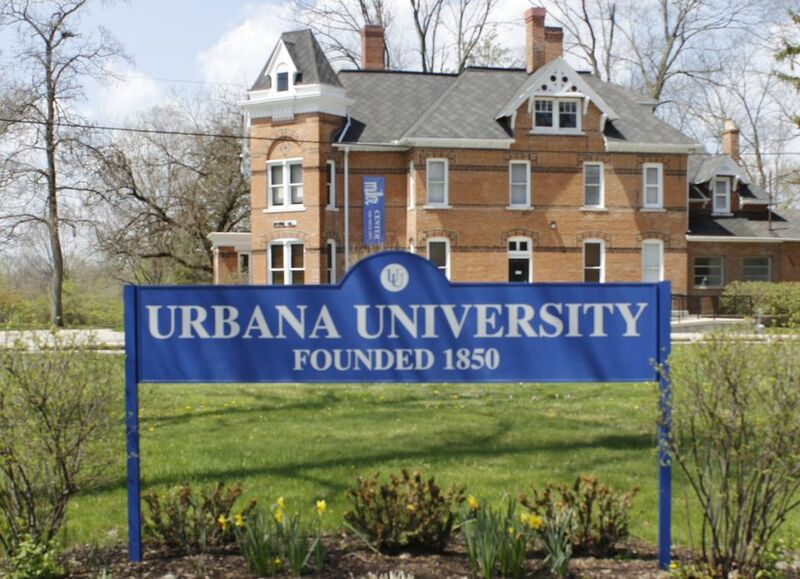 Located in west central Ohio, Urbana University is a private institution that offers various undergraduate business degrees, including the Bachelor’s in Accounting. The school is just an hour’s drive from Columbus and Dayton, both major cities with opportunity for internships, which are required in many disciplines. Earning a bachelor’s in accounting from Urbana requires the completion of course curriculum, the option of an internship in a related field of accounting, and the ability to keep up with the academic rigor of the program. Students benefit from small class sizes and the opportunity to prepare for an advanced degree in accounting or exposure to the coursework required of the CPA certification examination. 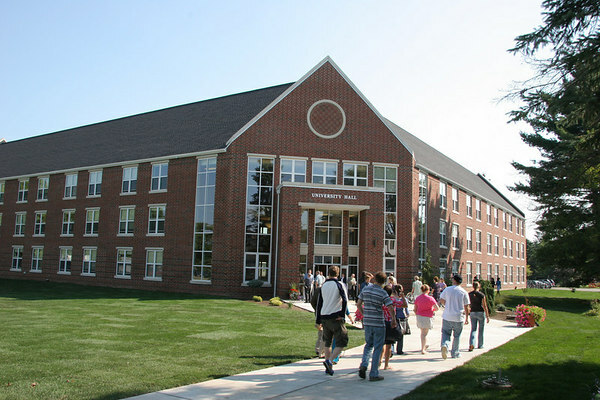 Huntington University is a highly ranked private institution that offers small class sizes and a low student-to-faculty ratio for undergraduate courses. 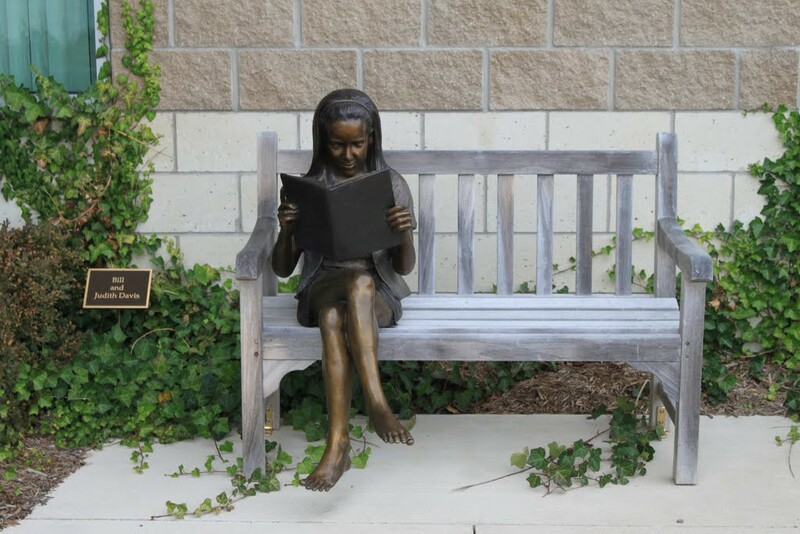 The school reports that students find the intimate learning environment conducive to success. The institution is committed to growth through its Christian tradition and philosophies. As a result of the school’s rigor and mission, U.S. News and World Report ranks Huntington as the 16th Best Regional College in the Midwest and the 6th Best Value School among regional Colleges. The Department of Accounting and Business offers the opportunity to earn a bachelor’s in accounting. Aside from rigorous courses and preparation that goes beyond the classroom, abundant internships are available to undergraduate students. Access to accounting clubs, executive luncheons, and community service projects is available. 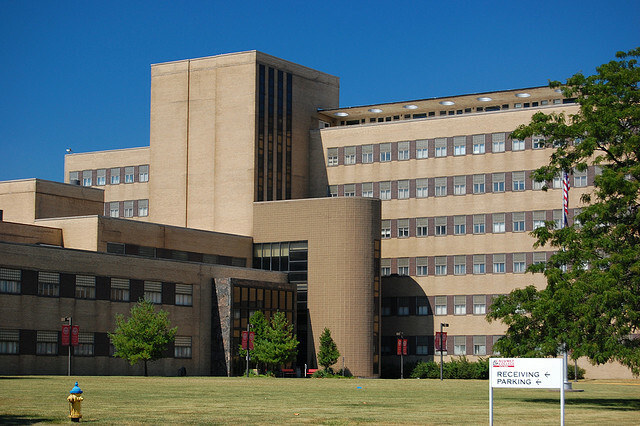 Accounting majors at Kuyper College receive access to two unique opportunities. Students may choose to pursue a BS in Accounting or a Bachelor of Business Administration in Accounting. A focus on Information Management is also available in associating with the Accounting degree. Accounting majors seeking licensing as a CPA, find the curriculum academically challenging and rigorous. Program courses include topics such as accounting information systems, auditing, cost accounting, and taxation. Kuyper College is highly ranked by major publications like U.S. News and World Report. In fact, the 2016 edition of Best Colleges lists Kuyper as the 69th Best Regional College in the Midwest. Grace College and Theological Seminary is an evangelical Christian institution located on 150 acres in Winona Lake, Indiana. The college enrolls approximately 1,850 students and maintains small class sizes that are conducive to providing an intimate learning environment. The school is highly ranked among regional colleges of its kind. In fact, U.S. News and World Report ranks the institution as the 38th Best Regional College in the Midwest, according to the 2016 edition of Best Colleges. Grace offers two degree pathways for Accounting majors: the BA or BS in Accounting. The Accounting program prepares students for graduate school, readiness for the CPA or CMA certification exam, and successful careers in accounting. The college has earned a specialized accreditation for its business program through IACBE. 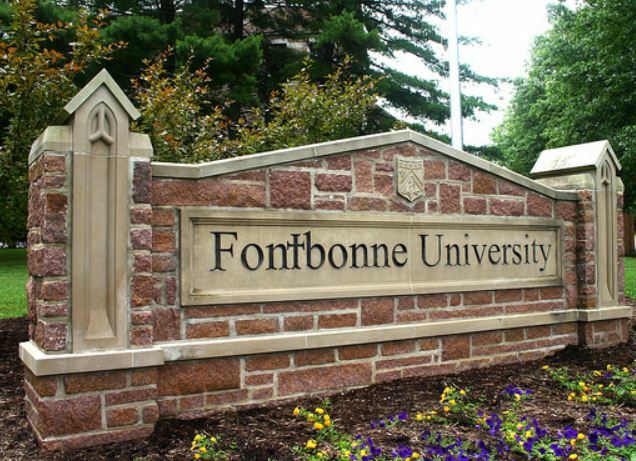 Fontbonne University is a private institution that provides quality academics to students wanting to attend a small and affordable school in the midwest. Fontbonne offers a Bachelor of Science in Accounting degree that builds a strong foundation of business and accounting for undergraduate students. The program is geared toward preparing students for the professional CPA certification exam. Popular courses explored in the program include business components, financial accounting, income taxation for individuals, and managerial accounting. Fontbonne is regionally ranked with U.S. News and World Report as the 85th Best Regional University in the Midwest. 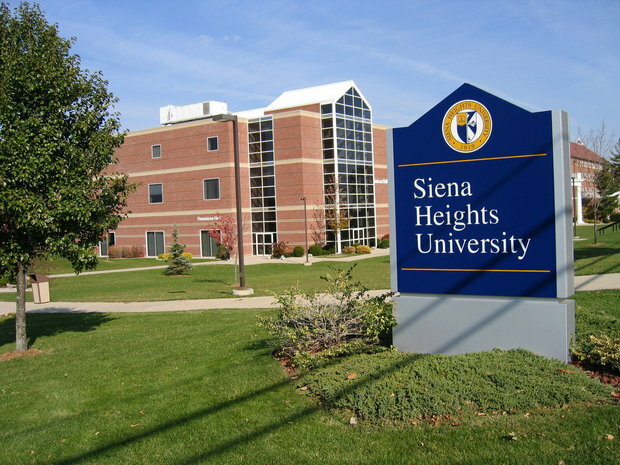 Earning a Bachelor’s of Business Administration in Accounting from Siena Heights University prepares you for a career in business, management, or accounting. The BBA in Accounting program combines studies in business ethics, communication, finance, and cost accounting and taxation. Students learn various business principles that help prepare them for careers in a wide range of business-related fields. The school reports that many graduates of the BBA in Accounting enroll in an MBA program or pursue the CPA certification exam. According to U.S. News and World Report, Siena Heights is ranked #92 among the Best Regional Universities in the Midwest. The school’s online bachelor’s programs are ranked #25 in the nation. Silver Lake College of the Holy Family, often called Silver Lake College, is a private Catholic institution located in Manitowoc, Wisconsin. The school maintains small class sizes and enrollment numbers of fewer than 500 undergraduates. U.S. News and World Report ranks Silver Lake College as the 66th Best Regional College in the Midwest and the 43rd Best College for Veterans in the region. Accounting majors at Silver Lake are prepared with a solid foundation of business, finance, and accounting principles. Courses are taught by seasoned instructors with years of real world experience working as CPAs or CMAs in various fields of business. Popular course topics include cost accounting, income tax preparation, managerial accounting, and public accounting. There are three accounting degree options available at Concordia University at Saint Paul: the BBA in Accounting, BS in Accounting, or the Accelerated Bachelor of Arts in Accounting. The accounting degree program at Concordia is designed to prepare students for accounting careers in all areas of business, including government, private sector, or non-profit organizations. Required courses explore topics such as corporate finance, cost accounting, federal income tax, forensic accounting, and legal environment of business. Concordia is ranked as the 99th Best Regional University in the Midwest, according to the 2016 edition of Best Colleges. U.S. News and World Report’s Best Colleges also ranks the online Bachelor’s programs as #40 among similar schools. 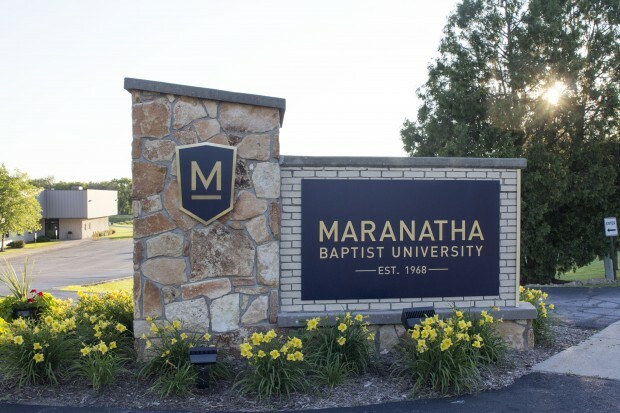 The School of Business at Marantha Baptist University offers a Christian-based Accounting major specific for students who want to work as CPAs in church ministry. The Accounting (CPA) program prepares students with the course requirements to sit for the CPA certification exam. This private, accredited institution is a strong choice for students who want to be spiritually and academically challenged. The school offers small class sizes and maintains a low student-to-faculty ratio to provide optimal learning environments. Maranatha is ranked with U.S. News and World Report as the 66th Best Regional College in the Midwest, according to the 2016 edition of Best Colleges. 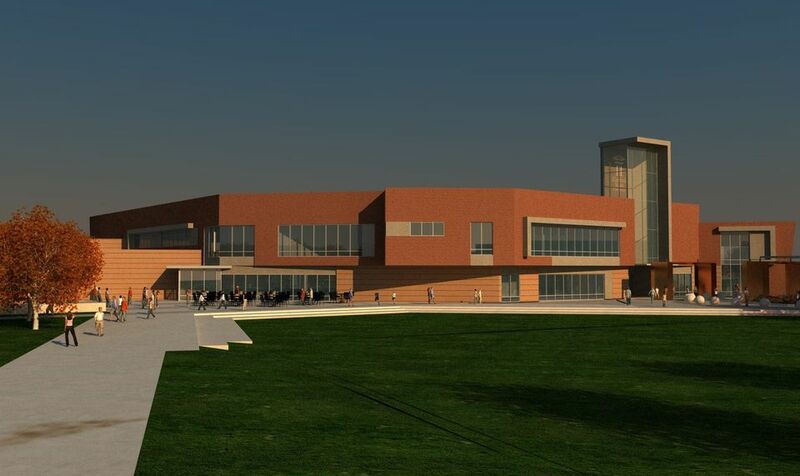 Located on approximately 25 acres of scenic ground, Grand View University provides quality education for students wanting to learn within a small midwest atmosphere. The total undergraduate enrollment is approximately 2,000 students, which helps maintain small class sizes with an average of 17 students. The low student-to-faculty ratio of 14:1 provides students with the ability to forge relationships with peers and gain direct access to instructors. The school’s accounting program prepares students for careers in both public and private sectors of accounting and business. Popular courses include advanced managerial accounting, financial accounting, managerial accounting, and operations management. The school is highly ranked with U.S. News and World Report. 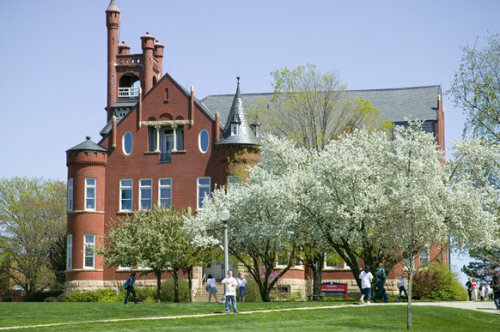 In fact, Grand View ranks 51st among the Best Regional Colleges in the Midwest. The University of Saint Mary is a private Catholic institution that provides value-centered education to just over 9,00 undergraduate students. The school offers a Bachelor’s in Accounting degree program that blends a unique study option. Students learn the foundations of accounting and information technology, and are prepared with classes such as auditing, financial accounting, income taxation, and managerial accounting. The unique program blend equips students for a career in accounting, at all levels and sectors. Accounting majors at USM also have the option of completing an MBA during year six or sitting for the CPA exam during year five. The university offers an online MBA degree in Accounting that is ranked #142 among similar schools and programs. The School of Sciences and Business at Eureka College offers an accredited Bachelor’s in Accounting degree program that is known for its pre-professional training. Accounting majors have two pathways to successfully completing their degree: four-year private track (requires 124 hours) or the public track (requires 150 hours). Students wanting to take the CPA certification exam must enroll in the 150-hour degree program to qualify. Some of the courses required for the Accounting major include advanced accounting, auditing, business law, and tax accounting. Students also take courses in business, math, economics, and computer science. Eureka ranks highly with U.S. News and World Report. In fact, the college is listed as the 29th best regional college in the Midwest, according to the recent edition of Best Colleges. 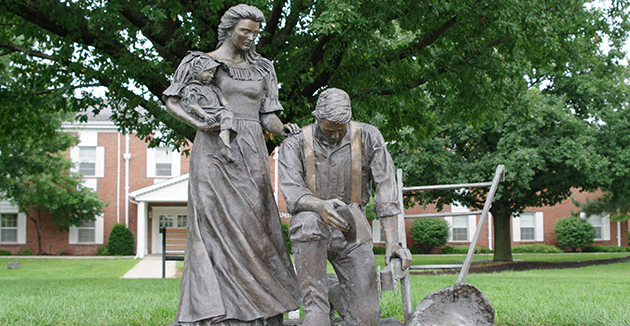 Culver-Stockton College is a private, Midwestern college located in Canton, Missouri. The school is highly ranked in U.S. News and World Report’s 2016 edition of Best Colleges. 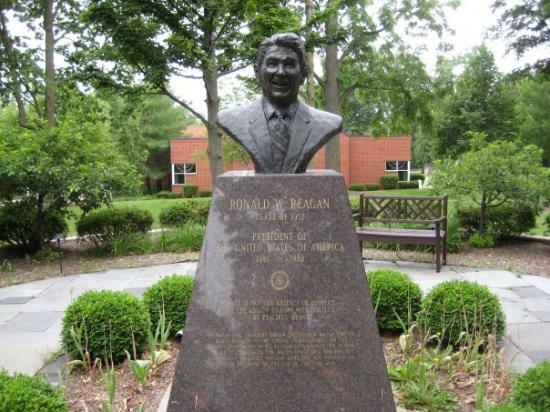 In fact, the school is listed as the 43rd Best Regional College in the Midwest and the 29th Best College for Veterans. Culver offers a BS in Accountancy that prepares students for successful careers in areas of business, finance, and accounting. Culver’s accredited accounting program claims a 100% placement rate for graduates. Students participate in an internship, travel to IMA conferences, and have the option of pursuing CMA or CPA certification by taking additional class requirements. As an IACBE accredited program and school, Culver-Stockton prides itself in preparing students with the skills needed to work in both public and private accounting sectors. 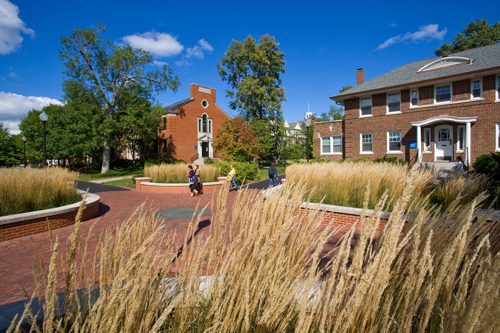 Graceland University is a private, liberal arts institution located in the heart of Iowa. The school enrolls approximately 1,600 undergraduate students and maintains small class sizes and a low student-to-faculty ratio. The C.H. Sandage School of Business offers an affordable Bachelor of Arts in Accounting program that provides a solid foundation for success in various fields of business, finance, and accounting. A required internship allows students to work directly with accountants and see what it is like to participate in the field on a daily basis. Courses explore topics in auditing, financial accounting, governmental and nonprofit accounting, and volunteer income tax assistance. Graceland is ranked as the 104th Best Regional University in the Midwest, according to U.S. News and World Report’s 2016 edition of Best Colleges. 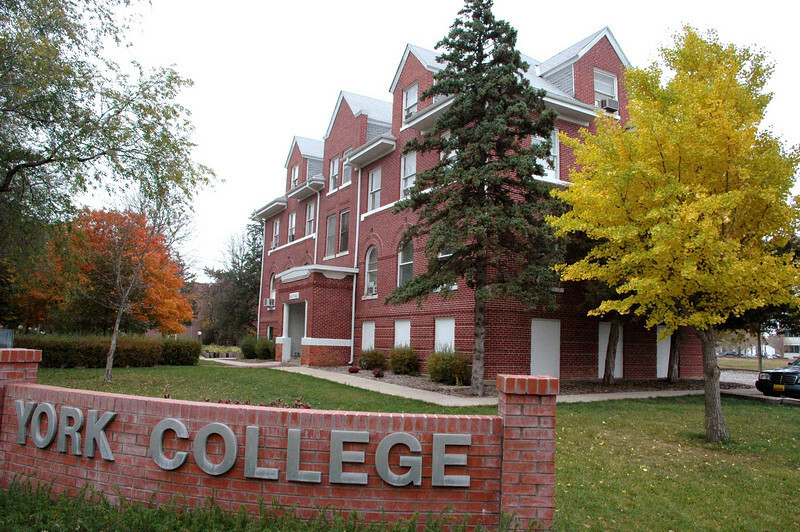 York College is a private, liberal arts college located in a rural area of Nebraska. The school offers a Bachelor of Business Administration in Accounting for those who desire a career in accounting. Popular program courses include accounting information systems for management, fundamentals of auditing, income tax, and production and operations management. The undergraduate accounting program also equips students with skills in budgeting, finance, management analysis, and law. York College is ranked as the 69th Best Regional College in the Midwest, according to the 2016 edition of Best Colleges. U.S. News and World Report also ranks York College as the 44th Best College for Veterans. 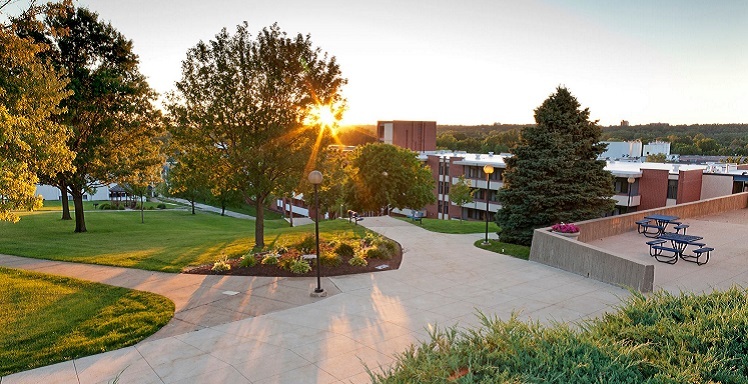 Selected as one of the more affordable small midwest colleges for an Accounting degree, Viterbo University is a private and moderately selective institution that offers small class sizes and maintains a low student-to-faculty ratio to ensure students learn in an engaging atmosphere. The Accounting program at Viterbo offers a guaranteed paid internship for all accounting students. It is one of the few accounting programs to promise this kind of internship to qualifying students. U.S. News and World Report’s 2016 edition of Best Colleges ranks Viterbo as the 104th Best Regional University in the Midwest. Central Methodist University offers an accredited Bachelor of Accountancy degree program that integrates business operations with accountancy principles. Students graduate with the skills needed to successfully pursue certification in various areas of accounting specialties, including CPA, CMA, CIA, CFE, CFP, and Actuary. The program emphasizes that students work individually and as team members, often assuming leadership roles. 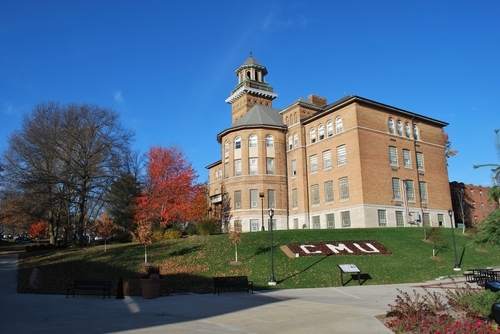 CMU is ranked with U.S. News and World Report as a Best College. In fact, the 2016 edition of Best Colleges lists Central Methodist as the 36th Best Regional College in the Midwest and the 25th Best College for Veterans in the region. The Gainey School of Business offers a four-year Bachelor’s in Accounting that prepares students with the necessary requirements for the Certified Management Accounting, Certified Internal Accounting, and Certified Public Accounting examination. The school reports that in recent years, 100% of accounting students have reported job placement within one year of graduation. The program builds on a biblical worldview foundation and prepares students with the skills needed to succeed in business and finance. Spring Arbor University is ranked as the 64th Best Regional University in the Midwest, as reported by U.S. News and World Report’s 2016 edition of Best Colleges. Small class sizes and a low average student-to-faculty ratio make Spring Arbor a top choice for students who want to attend a small midwest college for an accounting degree. Located in Indianapolis, Indiana, Martin University is a private and low cost university that offers an accredited Accounting degree program. The Accounting program prepares students with a foundation in the basic principles of accounting while allowing the opportunity to earn additional credits required to sit for the professional CPA certification examination. On-campus mentors assist students to secure additional credits and prepare for the CPA exam. Popular courses in the Accounting program include Computer Applications in Accounting, Cost Accounting, Fund Accounting, and Managerial Finance. Optional internships are available for students who want to earn additional credit and gain hands-on experience working in accounting prior to graduation. 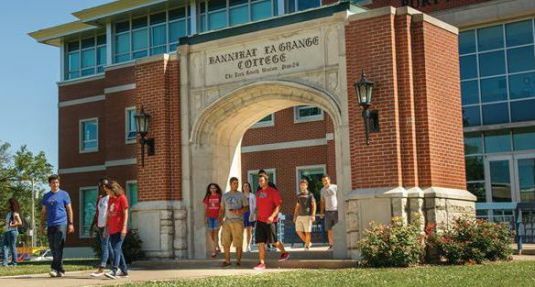 Hannibal-LaGrange University is a small midwest Christian college located in the heart of Missouri. The school offers small class sizes and maintains a relatively low student-to-faculty ratio. Integrating Christian faith and liberal arts, Hannibal-LaGrange offers an accounting program that leads to a Bachelor of Arts or Science in Accounting. Popular courses offered in the program include auditing, business communications, money and banking, and tax accounting. The school is accredited and highly ranked with U.S. News and World Report’s Best Colleges. 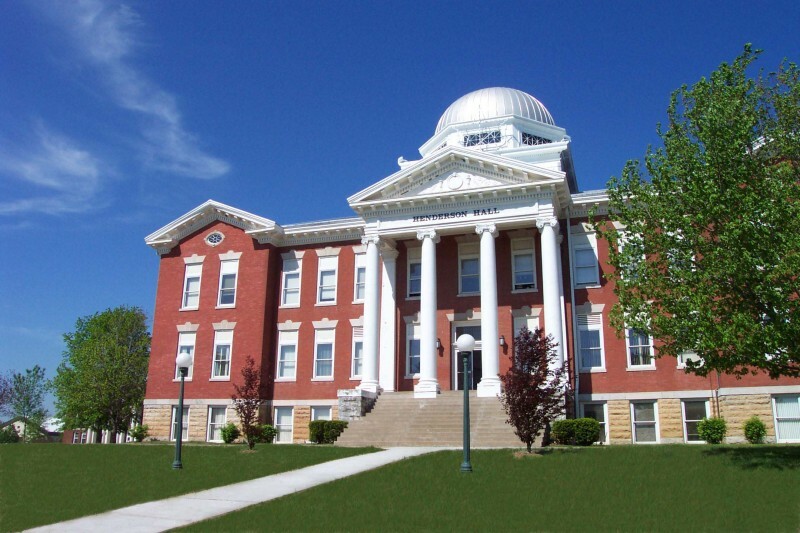 In fact, the 2016 edition of Best Colleges ranks Hannibal as the 62nd Best Regional College in the Midwest. Bethany College is a private Evangelical Lutheran college that offers majors in Accounting and Business Administration in Accounting. Successful completion of the major earns a Bachelor of Arts in Accounting. Course requirements include financial accounting, managerial accounting, principles of management, and federal income tax. An optional internship is offered to give undergraduate students an edge on gaining additional experience outside of the classroom. According to U.S. News and World Report, Bethany College is ranked 66th among the Best Regional Colleges in the Midwest. The school offers small class sizes and a low student-to-faculty ratio that allows students to forge relationships with peers and instructors. 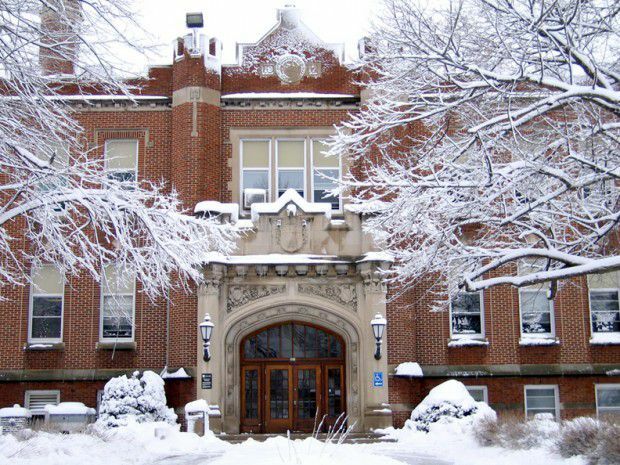 MacMurray College is a top-ranked, private small Midwestern college that focuses on providing a quality liberal arts education to its students. The school maintains small class sizes and keeps its student-to-faculty ratio low. MacMurray offers an Accounting program that combines a unique blend of business administration, economics, finance, management, and marketing courses in addition to foundational accounting classes. Some of the most popular accounting courses include cost accounting, federal income tax, financial and governmental accounting and reporting, and regulation. MacMurrary College is ranked 57th among Regional Colleges in the Midwest according to U.S. News and World Report. In the 2016 edition of Best Colleges, MacMurray ranks 37th among the Best Colleges for Veterans. This MidAmerica Nazarene University offers an affordable Bachelor’s in Accounting degree program that prepares students to pursue a graduate degree or certification as a CPA. The school offers various courses in business, finance, management, and accounting that help build a solid foundation for undergraduate accounting majors. The university is regionally accredited, and according to U.S. News and World Report is ranked among Tier 2 regional universities in the Midwest. MidAmerican Nazarene also offers an array of online courses and degree programs for students who require flexibility while pursuing secondary education. A Bachelor’s in Accounting degree from Dakota Wesleyan University offers affordability and preparedness for graduate school or professional certification. Accounting majors can earn the required 150 credits needed to sit for the CPA examination in South Dakota in four years. Summer courses and internship opportunities are available. According to U.S. News and World Report, Dakota Wesleyan University ranks #45 among the Best Regional Colleges in the Midwest. In the 2016 edition of Best Colleges, the school’s online bachelor’s program ranks #167 in the country. 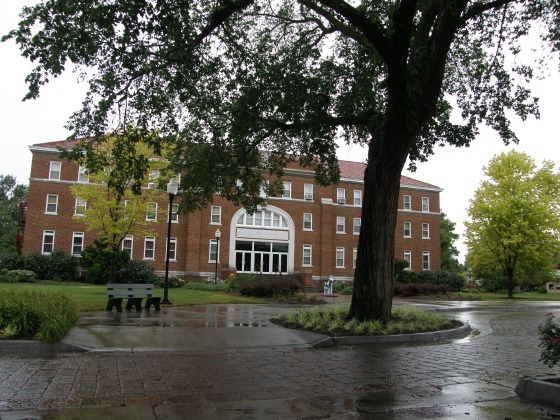 The Higher Learning Commission of the North Central Association accredits the university. 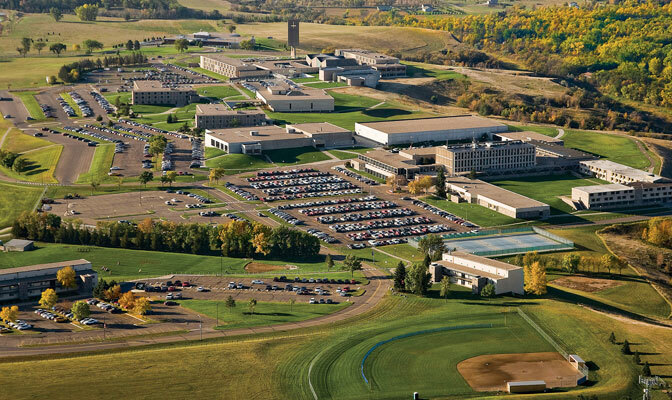 The University of Jamestown offers the benefits and amenities of a large school within a small college setting in North Dakota. 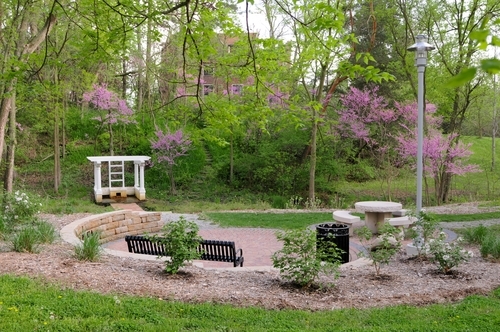 The campus sits on 110 rural acres and enrolls approximately 892 undergraduates. The university is ranked 36th among the Best Regional Colleges in the Midwest, according to the 2016 edition of Best Colleges published by U.S. News and World Report. 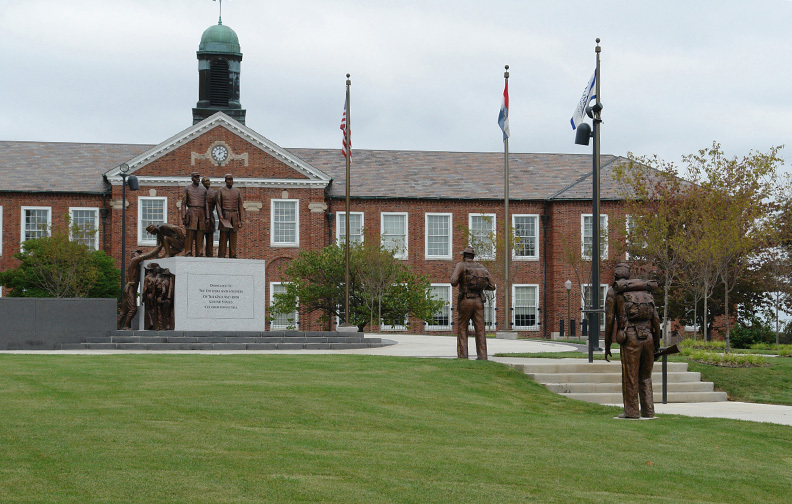 Best Colleges also lists the University of Jamestown as the 25th Best College for Veterans. The institution offers an accounting program that has earned distinction and shown proven success. The school reports that the program has a 96% career placement rate, and provides a special CPA track for students interested in earning certification requirements. International study and hands-on field experience opportunities are available to undergraduates. 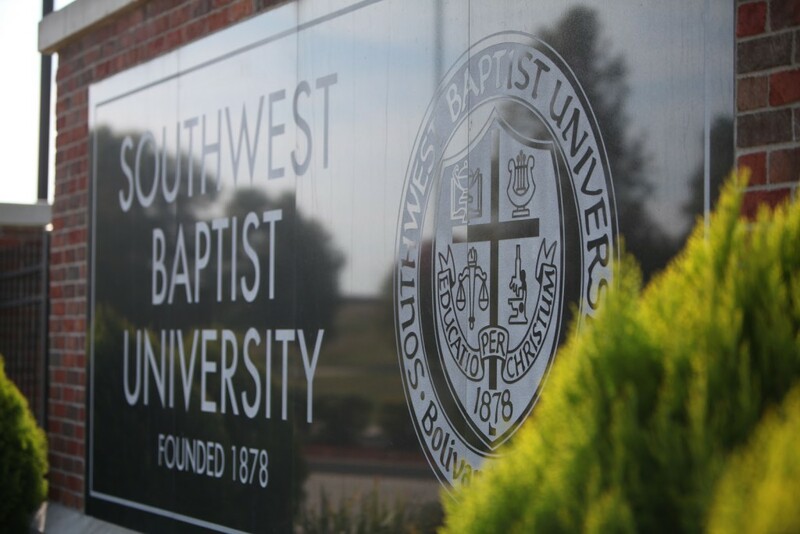 Southwest Baptist University is a private Baptist institution dedicated to preparing students to be leaders and pillars of the community. The college is ranked as a Tier 2 school among the Best Regional Universities in the Midwest, according to U.S. News and World Report’s 2016 edition of Best Colleges. The school’s accredited accounting degree program boasts a 92 percent job placement rate and small class sizes of approximately 8-10 students. The small class size combined with a low student-to-faculty ratio ensures students receive personal and individualized instruction. Internship opportunities are available to qualifying students at local and regional organizations, including Citizens Memorial Hospital and the Missouri State Auditor’s Office. 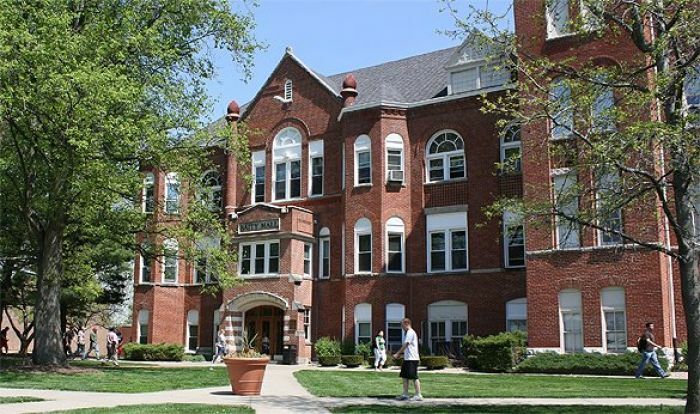 The School of Arts and Sciences at Doane College offers an accounting major that leads to an affordable bachelor’s in accounting degree upon successful completion. Within the specialized program, students are exposed to both the business and accounting skills necessary to succeed in various fields. Some of the popular course topics explored are business writing, financial accounting, managerial cost accounting, and tax accounting. An internship is required, and offered with two options. Students may participate in a one-month or semester-long internship. 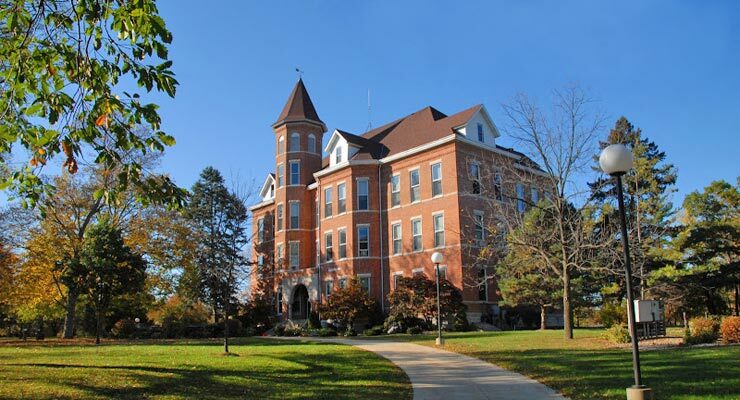 Doane College is ranked with U.S. News and World Report. In fact, U.S. News and World Report lists Doane as the 158th Best National Liberal Arts College in the United States, according to the 2016 edition of Best Colleges. 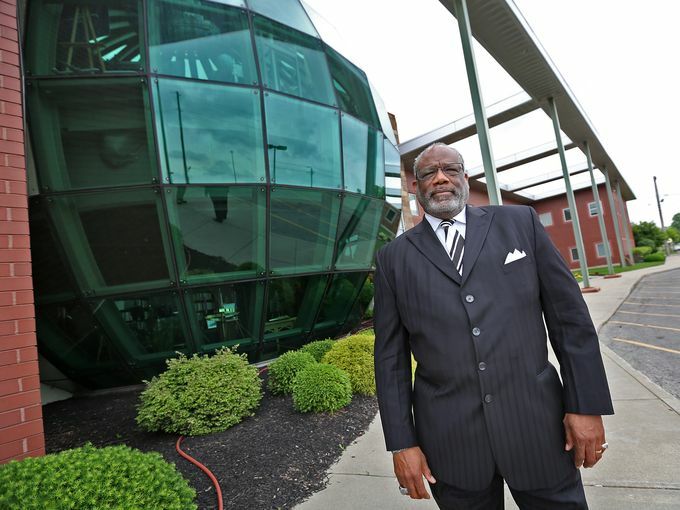 Wilberforce University is a predominantly African-American Methodist, private liberal arts institution located in the rural setting of southwestern Ohio. Founded in 1856, Wilberforce is recognized as being the first black college of the African Methodist Episcopal Church. The school offers various business degrees, including the accredited Bachelor of Science in Accounting. Students take a wide array of classes and explore topics in business, finance, and, of course, accounting. The most popular course for the Accounting major is Principles in Accounting, which is taken during the first year of studies at Wilberforce. Students may join the National Association of Black Accountants (NABA). The Business Division at Missouri Valley College offers an affordable Bachelor’s in Accounting degree designed to equip students with a diverse set of business skills. Students must take the required accounting and business courses along with computer science, finance, and communication courses. Popular accounting courses include accounting for government and non-profit organizations, business law, money and banking, principles of accounting, and taxation and business entities. The school maintains small class sizes and a low student-to-faculty ratio to ensure to ensure individualized instruction. According to U.S. News and World Report’s 2016 edition of Best Colleges, Missouri Valley College ranks as a Tier 2 Best Regional College among Midwest schools. Rochester College offers a Bachelor’s in Business Administration (BBA) in Accounting for students on a specialized career path in the accounting private or public sector. Options are available for students to fulfill additional requirements that satisfy eligibility to sit for various professional accounting certifications, including the CPA exam. 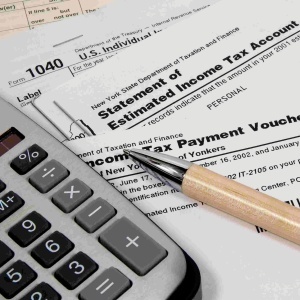 Popular courses for the accounting major include accounting information systems, accounting theory, cost accounting, government and accounting, and taxation. Rochester cultivates an atmosphere for academic rigor and excellence, offering small class sizes and a low student-to-faculty ratio. 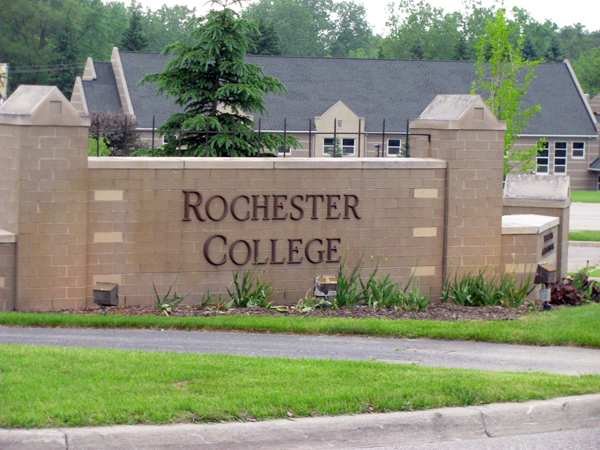 In U.S. News and World Report’s 2016 edition of Best Colleges, Rochester ranks #69 among Regional Colleges in the Midwest. 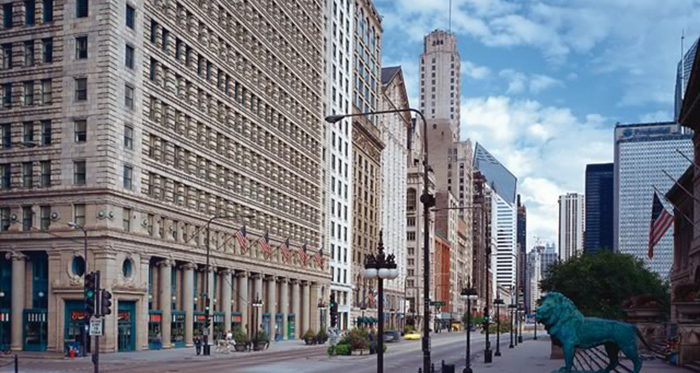 National Louis University is one of the oldest and technologically-driven institutions in the “Windy City.” Students have the option of attending class traditionally, online, or in a hybrid format. Despite its urban setting, National Louis University maintains small class sizes and a low student-to-faculty ratio to ensure students receive value and quality of instruction. Upon successful completion, students may earn an accredited BBA in Accounting degree. Course topics explore areas such as accounting information systems, advanced accounting, business law, international finance, and special topics in accounting. Affiliated with the Presbyterian Church and founded in 1837, Blackburn College is an affordable liberal arts institution located in Illinois. The school is ranked highly with U.S. News and World Report’s 2016 edition of Best Colleges. In fact, the institution is listed as the 46th Best Regional College in the Midwest and the 5th Best Value School in the region. Students majoring in accounting at Blackburn receive preparation for graduate school and the coursework required to sit for the CPA exam. Popular accounting courses at Blackburn include advanced accounting, auditing, cost accounting, federal income tax, and financial accounting. Internships are available and provide students with real world and job experience before graduation. 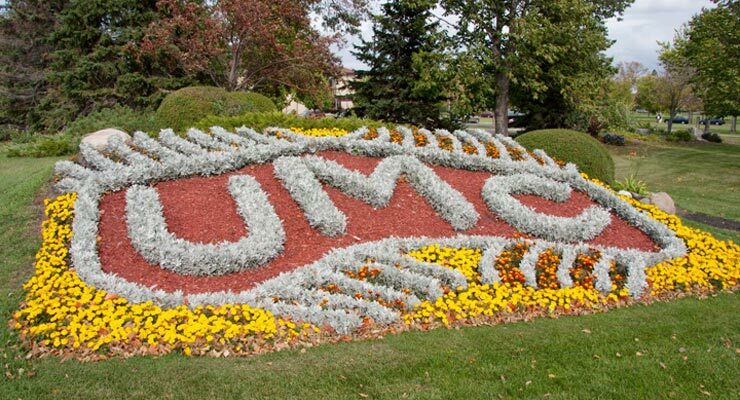 The accredited BS in Accounting degree from University of Mary is a four-year program that prepares students with the necessary skills to enter a career as an accountant. The affordable accounting degree also offers options to secure additional credits required to sit for the professional CPA certification exam. Students may earn their BS in Accounting in three and a half years and immediately begin the MBA program or take additional classes required by the CPA certification exam. Students work closely with an accounting mentor who helps to navigate course requirements and provide encouragement along the learning path. Online accounting degree options are available. According to U.S. News and World Report, the school’s online bachelor’s programs are ranked #172 in the country. Newman University offers an affordable BS in Accounting program that readies students for entry-level careers in private and public accounting sectors. Accounting majors at Newman also have the option of continuing into their fifth year of studies to complete the eligibility requirements to sit for the CPA exam, according to the Kansas State Board of Accountancy. Successful completion of the accredited Bachelor of Science in Accounting includes taking courses in cost accounting, financial accounting, managerial accounting, and taxation. According to U.S. News and World Report’s 2016 edition of Best Colleges, Newman is ranked among the best Tier 2 Regional Universities in the Midwest. Its online bachelor’s program is ranked #153 in the country. 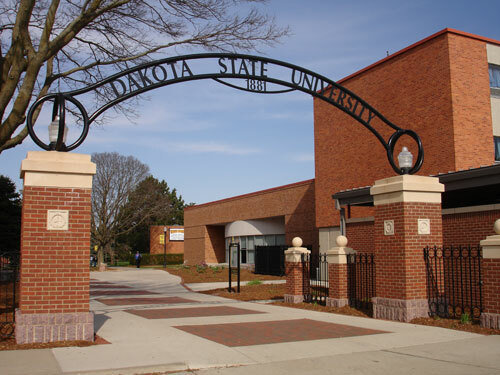 Despite being a public university, Dakota State University maintains a small undergraduate enrollment of less than 3,000 students. This highly affordable midwestern institution offers an accredited BBA in Accounting that prepares students to pursue CPA certification, an MBA, or enter a career as an accountant. The BBA in Accounting degree program is accredited by the Accreditation Council for Business Schools and Programs (ACBSP). Small class sizes of 15-20 students allow relationship-building opportunities. Students never find themselves seated in auditoriums listening to lectures. Instead, direct access to instructors is the norm. According to U.S. News and World Report, Dakota State ranks #92 among the Best Regional Universities in the Midwest. 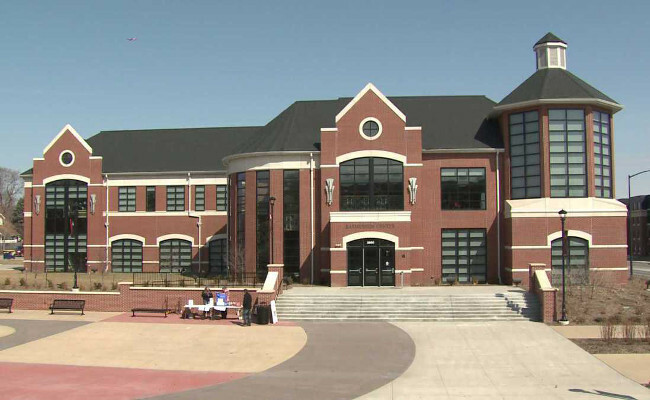 The Business Division at College of the Ozarks offers an affordable accounting degree program that combines business administration and accounting. This unique study mix prepares students for careers in private and public accounting sectors. The objective of the accounting program is to prepare students with the skills necessary for job placement in a highly competitive field. Students may also pursue additional credits required to sit for the Certified Public Accountant (CPA) exam. 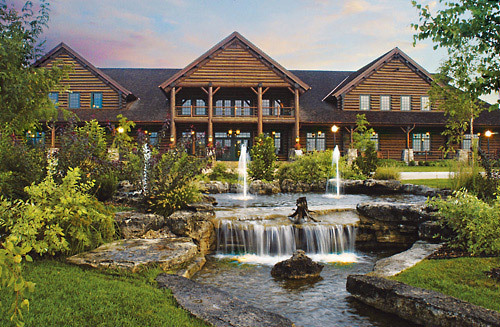 The College of the Ozarks comes highly ranked by U.S. News and World Report. In fact, the 2016 edition of Best Colleges lists the college as the 4th Best Regional College in the Midwest and the #1 Best Value School in the region. According to the school’s website, nearly 90 percent of undergraduates demonstrate financial need and are awarded some form of financial aid. 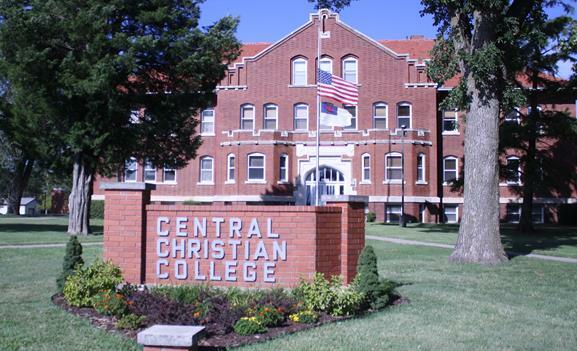 Offering an affordable Bachelor’s in Accounting degree, Central Christian College of Kansas prides itself in preparing students for careers in accounting while keeping costs at a minimum. The accounting program is designed to equip students with skills needed to succeed in a graduate accounting program or sit for the CPA examination. If a student does not plan to pursue the CPA, completion of the bachelor’s in accounting degree will launch them into an entry-level accounting career. Popular courses offered in the accounting program include individual income tax, managerial accounting, and professional ethics. Central Christian College is ranked by the U.S. News and World Report’s 2016 edition of Best Colleges as a Tier 2 Regional College in the Midwest. 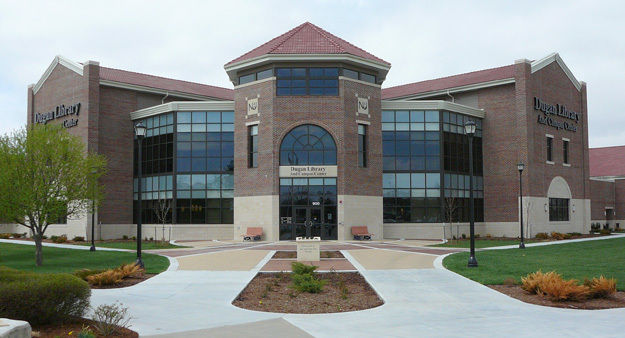 The University of Minnesota in Crookston is a public institution that offers a personlized college atmosphere without the price tag that comes with attending a small school. With an undergraduate enrollment of 2,850, the university maintains a low student-to-faculty ratio, even in its popular business and accounting programs. The school offers a unique online BS in Accounting degree that can be completed remotely or on campus. The affordable accounting degree program provides small class sizes and the option of earning additional credits that satisfy eligibility requirements for the CPA exam. The university is ranked #48 among the Best Regional Colleges in the Midwest, and is listed as the 2nd Top Public School in the 2016 edition of Best Colleges. AIB College of Business is a private institution that offers an affordable BS in Accounting degree. The rigorous curriculum prepares students for the demands of the fast-paced accounting field by providing in-class and hands-on experience. Students explore concepts and theories in cost accounting, income taxation, and managerial accounting. Students may earn the Bachelor’s in Accounting degree in as few as three years and earn additional course credits that satisfy the CPA exam eligibility requirements during their fourth year. The school maintains small class sizes and a low student-to-faculty ratio that is conducive to providing an intimate learning environment. Students never sit in large auditoriums and listen to lectures, but gain direct access to instructors because of smaller class sizes. One of the most affordable small midwest colleges for an accounting degree is Baker College of Port Huron. 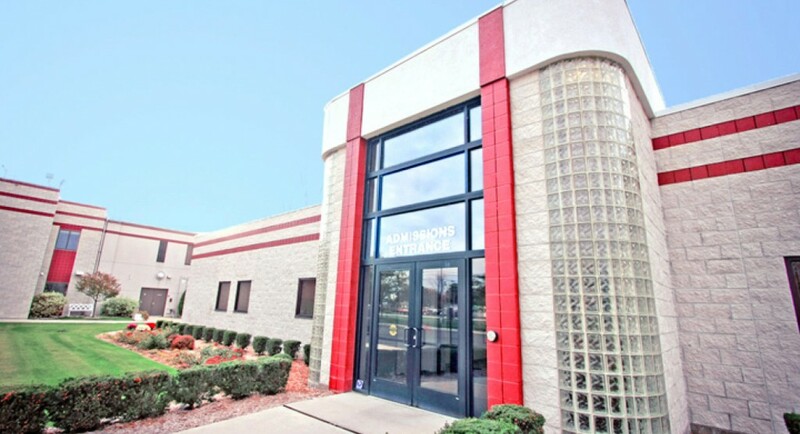 Located in the heart of Michigan, Baker College offers small classroom sizes and a low student-to-faculty ratio, even in popular business courses. The accounting bachelor degree at Baker is part of the Baker College Smart Degree Option. Upon completion of the degree program, students become eligible to sit for the CPA examination in Michigan. The program satisfies the requirements of the CPA exam needed for CPA licensure. Popular courses offered within the accounting program include auditing, systems, and controls; business entities taxation; cost accounting; governmental and non-profit accounting; and strategic management. 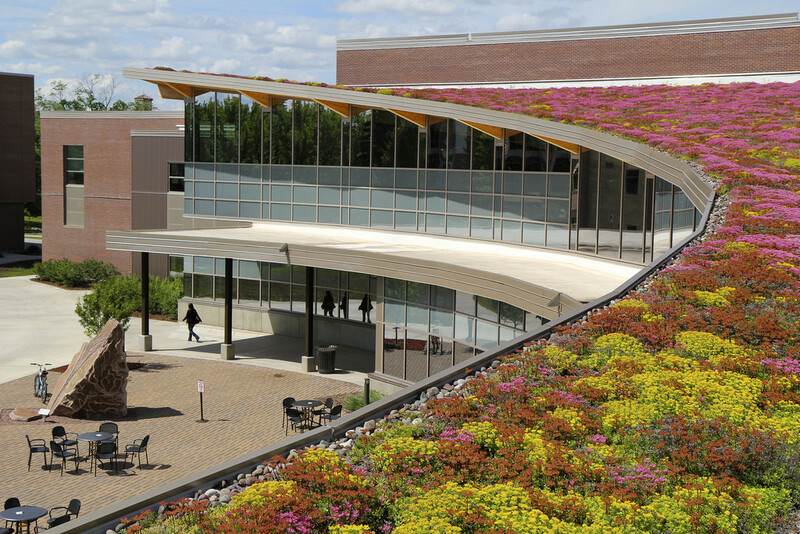 Earning a top spot as the #1 Most Diverse and Comprehensive College for the last several years from U.S. News and World Report, Calumet College of Saint Joseph offers academic rigor and various business programs. One such program follows the accounting track. Successful completion earns an accredited Bachelor of Science in Accounting degree. Students on the accounting track take classes that explore topics such as cost accounting, government and non-profit accounting, income tax accounting, and law and the manager. Students graduate prepared to enroll in a master’s in accounting program that helps satisfy eligibility requirements of the CPA certification exam. The University of Wisconsin at Superior is a public university that enrolls approximately 2,600 students. The school offers an accounting program that goes beyond providing foundational courses and skills needed to work in this highly specialized field of business. Students receive preparation to take the CPA, CMA, CFE, and CIA examinations. The program maintains small class sizes and a low student-to-faculty ratio, providing opportunity for students to forge peer relationships and gain access to faculty members. The school is ranked as the 92nd Best Regional University in the Midwest, according to U.S. News and World Report’s 2016 edition of Best Colleges. It is also listed as the 30th Best Public School. Lake Superior State University is a public, small-town university located in Sault Ste Marie, Michigan. The academic atmosphere of the school offers a mix of liberal and technical studies applicable to real-world experience. Students may earn an affordable Bachelor of Science in Accounting from the university’s School of Business. Typical class sizes for all accounting courses is 10-20 students, which allows direct access to full-time faculty members. Popular course offerings include accounting information systems, cost accounting, federal taxation accounting, and principles of accounting. Job placement assistance is available for students on campus. The school is ranked with U.S. News and World Report as the 57th Best Regional College in the Midwest. 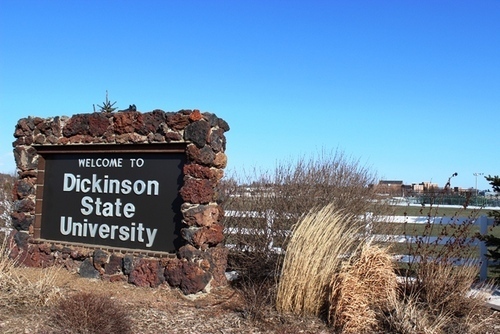 Dickinson State University is one of the most affordable small colleges in the midwest for an accounting degree due to low in-state tuition prices and small class sizes. Total enrollment does not exceed 1,500 students, which helps keep even the popular business management and accounting classes at a minimum. The Department of Business and Management offers an affordable BS in Accounting degree. Core accounting courses include computerized accounting, cost accounting, financial statement analysis, and income tax. The program prepares students to take professional certification exams to become licensed CMAs, CFEs, and CIAs. Additional credits are required to be eligible to take the CPA certification examination. 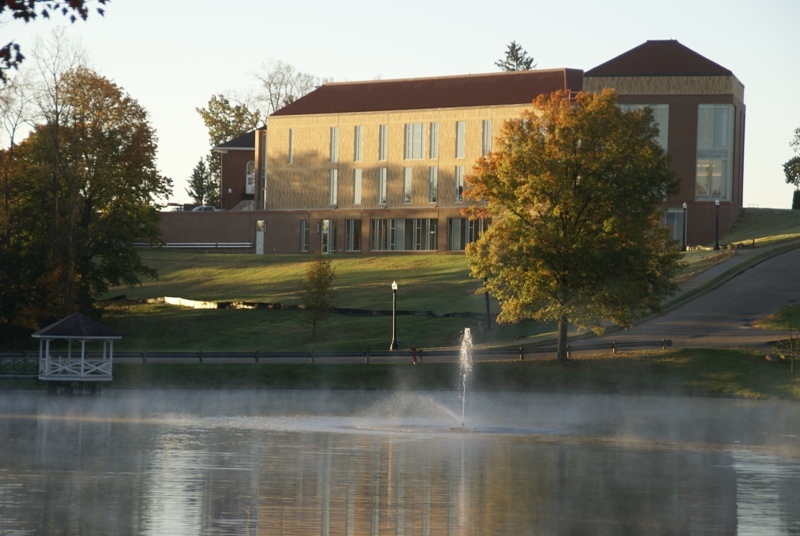 Recognized by BusinessWeek magazine, The Chronicle of Higher Education, National Public Radio, and U.S. News and World Report, Muskingum University is one of the nation’s most rigorous regional academic universities. A small enrollment size and low student-to-faculty ratio ensure students will never receive lectures sitting in large auditoriums. Even the school’s popular business programs maintain small class sizes. The accounting program offers opportunities to intern with some of the nation’s best accounting firms, and provides access to study abroad programs and recent alumni working in the accounting field. U.S. News and World Report ranks the university as the 50th Best Regional University in the Midwest and the 37th Best College for Veterans. Central State University is Ohio’s only public historically black university, founded in 1887. 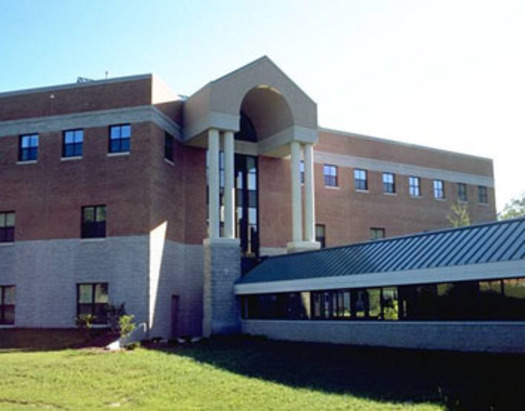 The school offers various business-related studies, including business administration and accounting programs. Completion of the accounting degree program earns a Bachelor of Science in Accounting. Popular courses covered in the program include accounting information systems, auditing, cost accounting, federal income tax, and financial accounting. The ACBSP accredits all business programs, including accounting. U.S. News and World Report ranks Central State University among Tier 2 regional colleges in the Midwest. According to the 2016 edition of Best Colleges, Central State is listed as the 43rd Best Historically Black College and University. According to U.S. News and World Report’s 2016 edition of Best Colleges, Lincoln University is a Tier 2 regional university in the Midwest. With an enrollment of fewer than 3,000 students, Lincoln maintains small class sizes in popular business-related disciplines. The school offers a Bachelor’s in Accounting degree program that prepares students for graduate school or entry-level employment in the public and private accounting sector. Lincoln’s accounting program claims many students pursue the eligibility requirements needed to sit for the CPA examination. Popular accounting courses include accounting information systems, cost management, global business, governmental accounting, and principles of accounting. Harris-Stowe State University is a private midwestern institution founded in 1857. 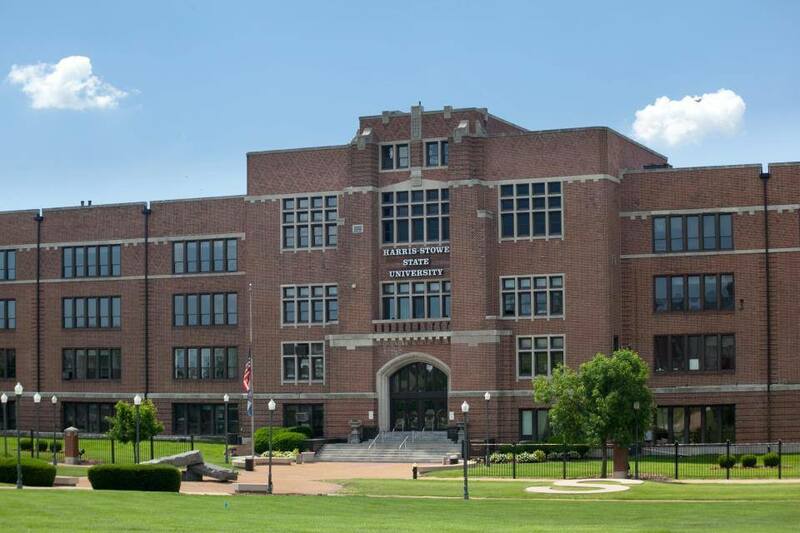 While the school is located in the heart of Saint Louis, enrollment is kept at a minimum of fewer than 1,300 students. The Anheuser-Busch School of Business offers a Bachelor of Science in Accounting degree that prepares students to enter a master’s program in accounting with the intention of qualifying for the CPA exam. Students take classes in general business administration and specialized accounting. Harris-Stowe offers small class sizes and a low student-to-faculty ratio that helps promote an intimate learning environment where students can forge relationships with each other and instructors. Affordable tuition rates earn Harris-Stowe a top spot on our list of small midwest colleges for an accounting degree. The most affordable small midwest college for an accounting degree in 2016 is Cleary University. Cleary is a private institution, founded in 1883, that maintains small class sizes and a low student-to-faculty ratio of 11:1. Even the school’s popular business programs cap enrollment so that students receive direct access to professors and are able to forge relationships with peers. The school’s business program offers a unique Bachelor’s in Corporate Accounting and Finance degree that follows the CMA track. Successful completion of the program earns a Bachelor’s of Business Administration (BBA) in Corporate Accounting and Finance. The low tuition costs combined with small classroom size, earn Cleary the top spot on our list of the most affordable small midwest colleges for an accounting degree.